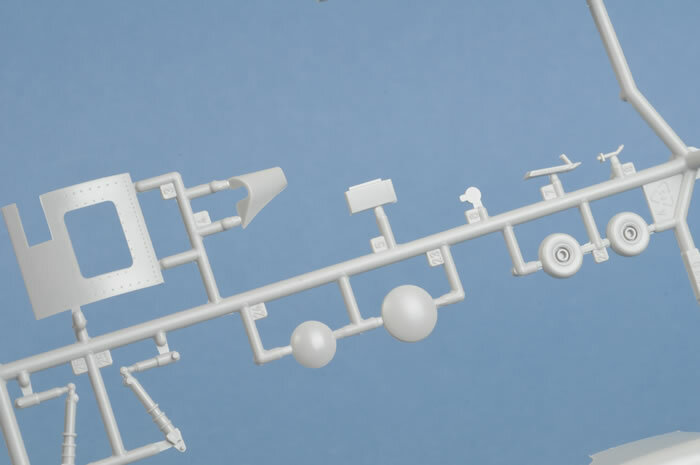 Contents and Media: 110 light grey injection moulded plastic parts, 32 etched metal parts and 35 clear parts, a decal sheet covering four USN aircraft schemes. Price: USD$25.99 plus postage available online from Lucky Model. 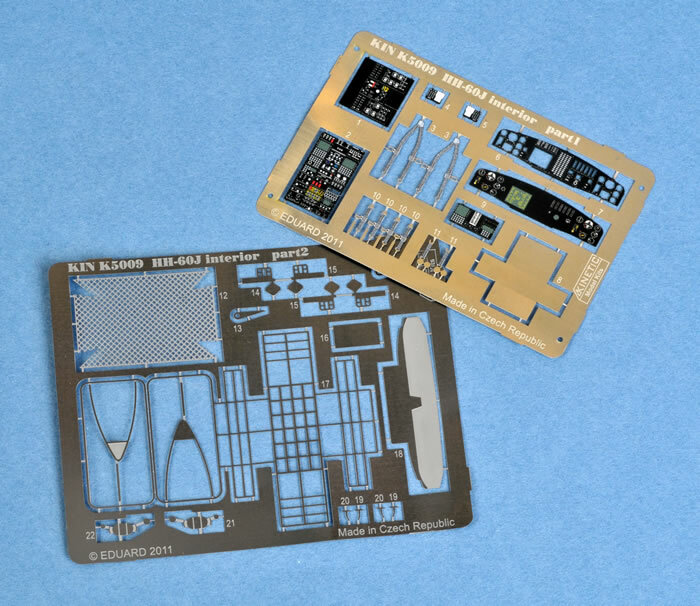 Advantages: Good surface detail; good instruction sheet detail; card carrier deck diorama section; great etched metal details; excellent decals; clear transparencies. Disadvantages: Seats are moulded a bit on the heavy side. Conclusion: A very well detailed and accurate kit. The HH-60J Jayhawk was designed in parallel with the HH-60H in 1986 and is a medium range recovery helicopter dedicated to Search and Rescue (SAR), offshore law enforcement, military readiness and marine environmental protection missions. The Jayhawk was developed to replace the HH-3F Pelican, which the US Coast Guard had employed for over 20 years. The first Jayhawk entered service with Air Station Elizabeth City in June 1990 and a total of 42 helicopters were built before the production ended in 1996. In assigned mission and operational design the HH-60J Jayhawk is similar to the HH-3F Pelican, but it is not designed to be able to perform water landings as was the HH-3F, however it is lighter and faster and has more sophisticated electronics. The Jayhawk employs the NAVSTAR GPS with 18 satellites for navigation and real time positioning. With the aid of the Forward-Looking Infrared (FLIR) sensor turret, pilots can see through smoke and haze in adverse weather to complete their missions. The Jayhawk also carries a 600lb (2.67kN) hoist with 200ft of cable to rescue personnel or victims from water. Though normally land based, the Jayhawk can also operate from the 270 foot WMEC or 378 foot WHEC Coast Guard Cutters. 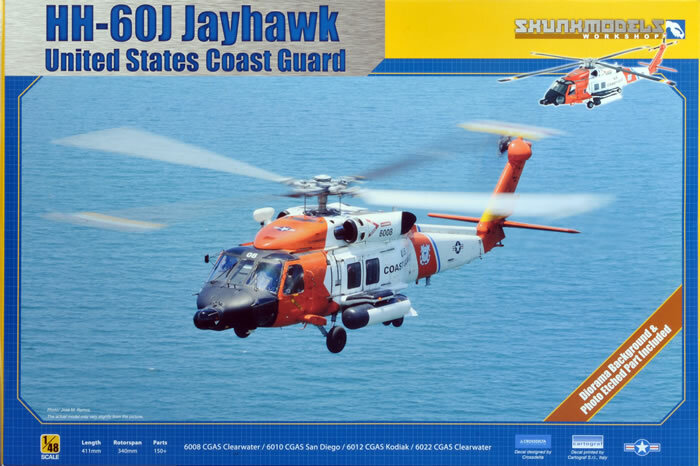 To meet the expanding responsibilities of the Jayhawk the USCG started to upgrade its fleet to MH-60T standard in 2007. All 42 Jayhawks are scheduled to be upgraded by 2015. 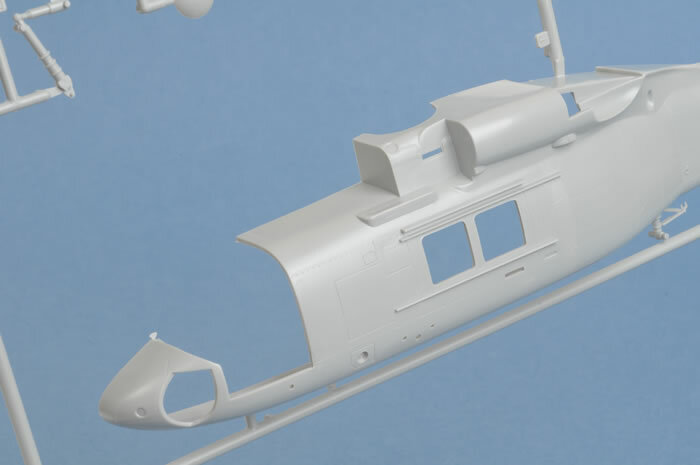 This release from Skunkmodels Workshop includes all the plasic parts from Italeri Seahawk. 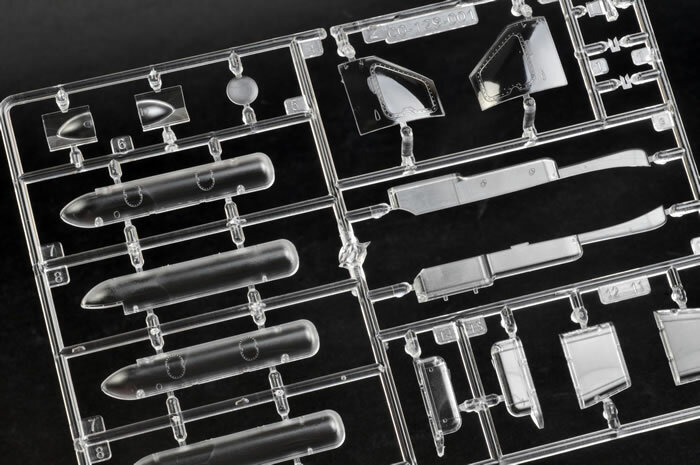 It is a beautifully detailed and accurate kit. 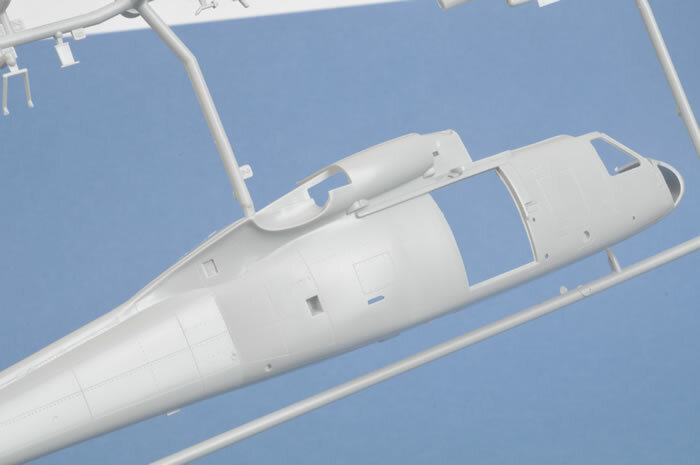 Skunkmodels has added the required plastic parts to modify the original Italeri kit to the HH-60J variant. Also included are two frets of photo-etched metal to add to the cockpit detail and to provide the winch rescue basket. 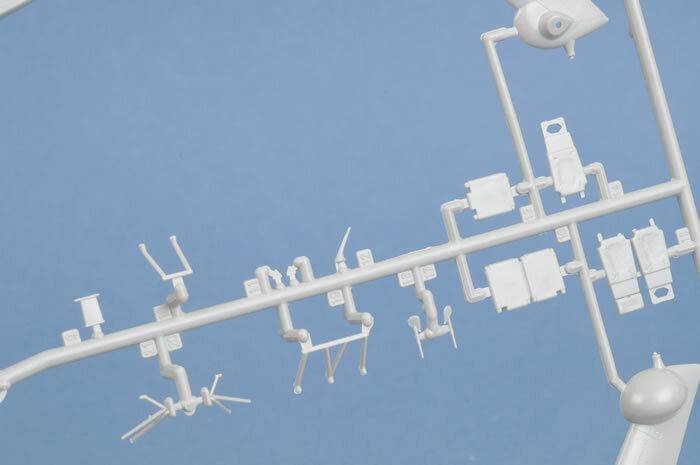 The kit comprises approximately 110 light grey injection moulded plastic parts, 32 etched metal parts and 35 clear parts, a decal sheet covering four Coast Guard aircraft schemes. The moulded parts are free of flash and all injector pin marks are well hidden. 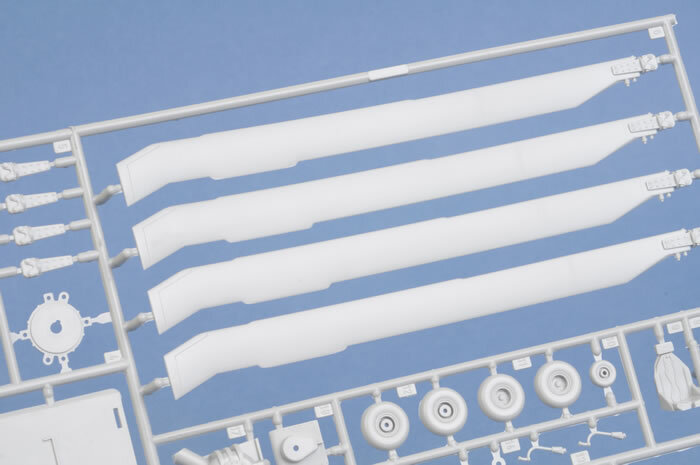 The new additional parts for the Skunkmodels release are mostly moulded in clear plastic to facilitate the new cockpit doors. This also eliminates the awkward issue of fitting the clear window into the door and the possibility of unsightly gaps around the window. When this kit was first released some years ago it had some very nice internal detail and the Italeri moulds are holding their age well - the detail is still crisply moulded. The surface detail is engraved and the kit is well detailed by today’s standard. A nicely detailed interior cargo bay floor is provided but on the full size aircraft this is a very busy area, so there is plenty of scope for extra detail. The rear cargo area door can be positioned in the open or closed position. The cockpit area is detailed adequately but once again the area can easily be made a bit busier with some extra detail work. The seats are all a bit heavy on the moulding and could do with some thinning down or replaced for accuracy purposes. 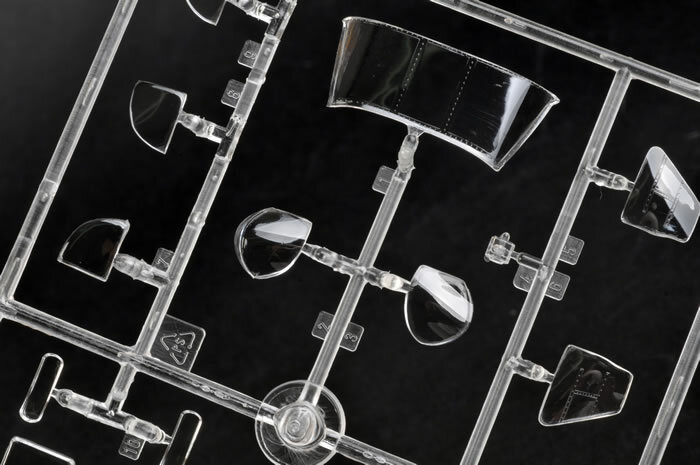 The top deck is adequately detailed around the rotor head area and is sufficient for the amount that is visible. 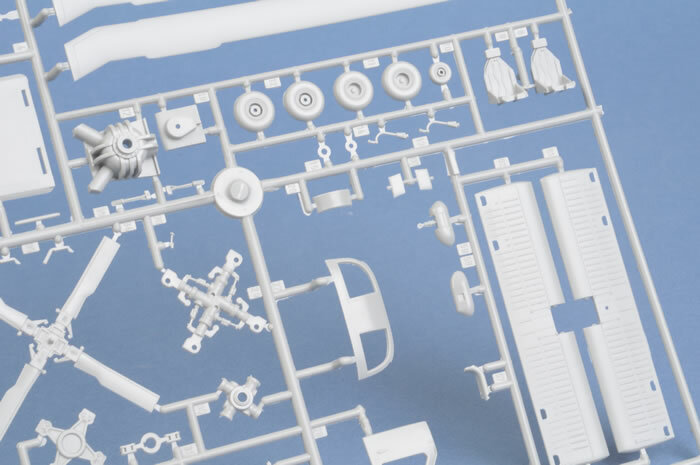 The rotor head itself is well detailed and is the blade folding type of rotor head. The rotor blades have the rotor droop moulded into the blades so there is no need for hot water and manual manipulation. The undercarriage has been well detailed and represents the real aircraft, although the rear tail wheel looks a little long which may make the tail sit a bit high, I won’t know this until it is built and I will adjust it accordingly. 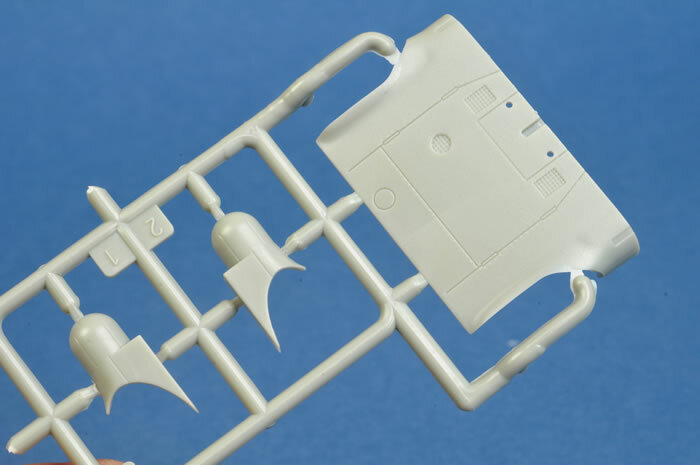 The extra parts supplied by Skunkmodels include new optional cockpit doors. This will require the left door to be carefully cut from the fuselage half. Some minor surgery is required to install the beautiful colour photo etched instrument details and seat belts. These have been etched by Eduard and will certainly enhance the cockpit detail. 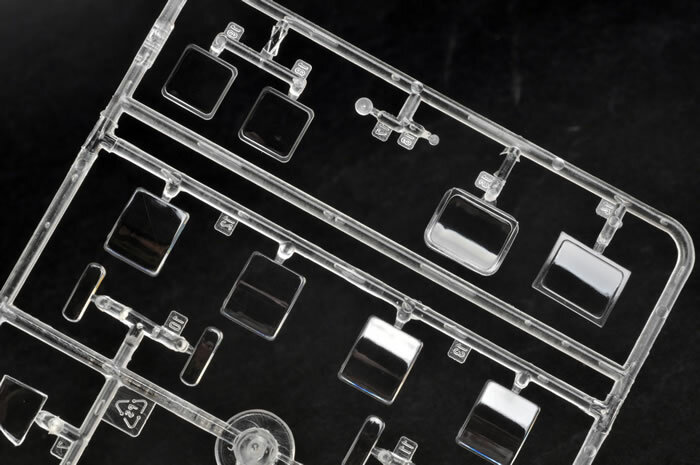 The transparencies are moulded crystal clear and installation should be quite easy. 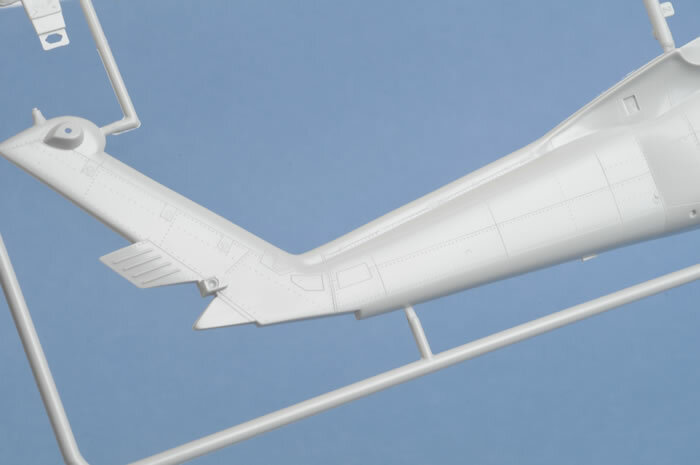 The fit of the kit should present no major problems, and remember that the aircraft is fairly rugged so some panels do not align well on the actual aircraft. HH-60J Jayhawk serial number 6010 of the U.S. Coast Guard Air Station based at San Diego California in 2006. HH-60J Jayhawk serial number 6012 of the U.S. Coast Guard Air Station based at Kodiak Alaska in 2005. HH-60J Jayhawk serial number 6008 of the U.S. Coast Guard Air Station based at Clearwater Florida in 2010. HH-60J Jayhawk serial number 6022 of the U.S. Coast Guard Air Station based at Clearwater Florida in 2010. All aircraft are finished in AN508 Coast Guard Orange, FS17875 Insignia White, and FS27038 Semi Gloss Black. The decals are crisp, accurate in colour and in register. The decals are designed by Crossdelta and printed by Cartograf. My previous experience with Cartograf decals is they are very thin and conform well to surface detail. 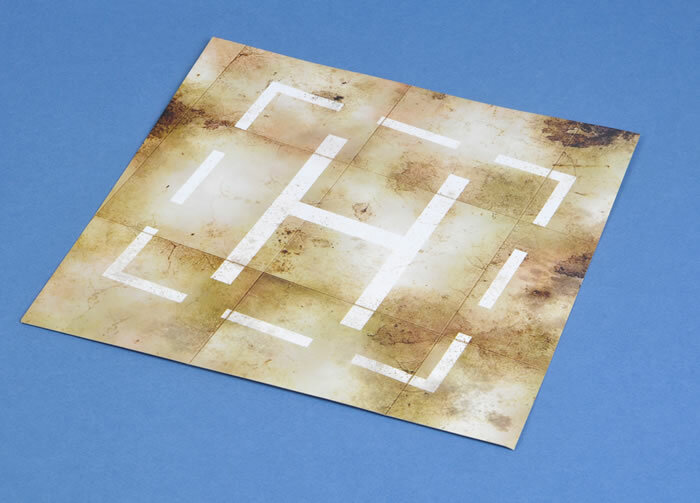 Also provided is a very nice card replica of an aircraft carrier deck section with the helipad markings including tie down points. This is large enough to mount to a base and display the completed model. Recommended for all modellers of average skill and experience.